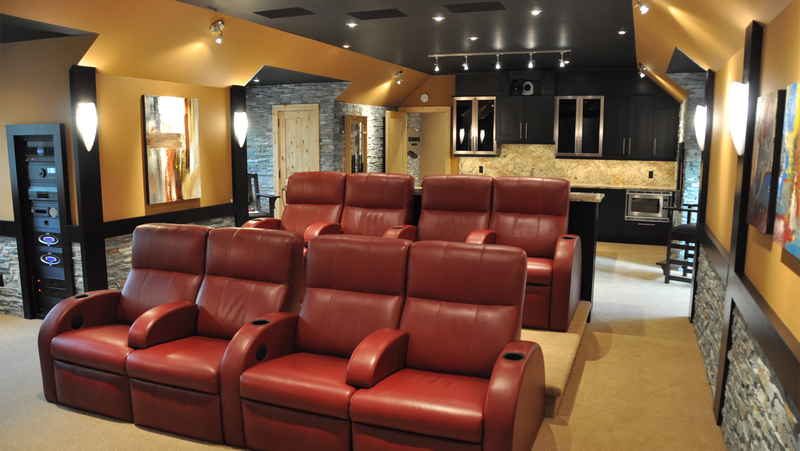 "One of my favourite features of going north on the weekends and for our family vacations is catching up on all of the latest films and tuning into popular sporting events. 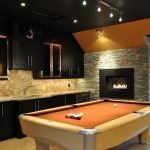 Especially when it is raining outside!" 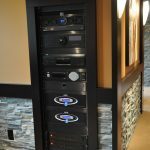 Clinton Howell (H2 Systems Inc.)/Design Electronics created a CEDIA Electronic Lifestyles award-winning high performance home theatre for a cottage client in the Honey Harbour Area of lower Muskoka. 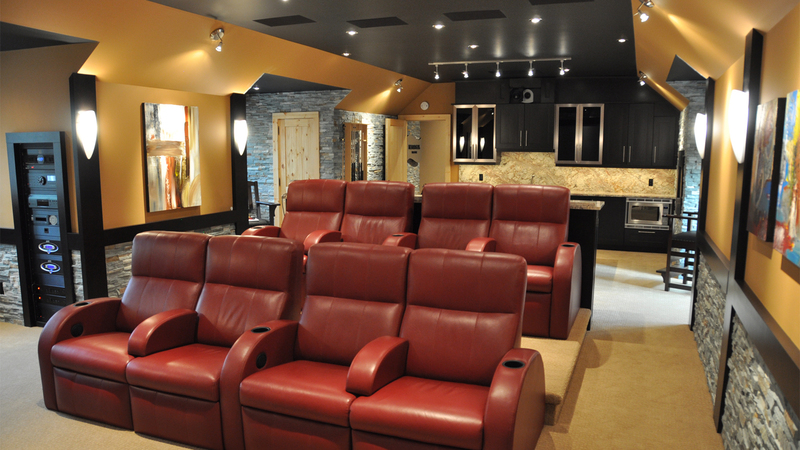 The owner of this home wanted an amazing and functional space to enjoy movies and music with family and friends, while enjoying the serene elements of Georgian Bay. 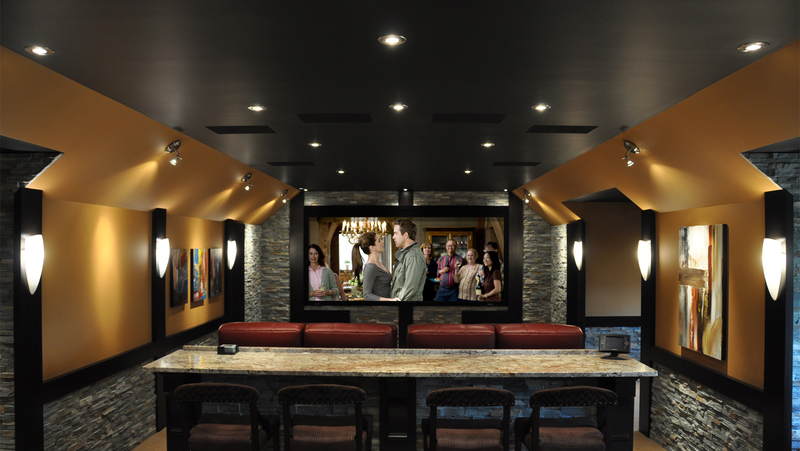 This space is contemporary in its character and rustic in its charm and materials. 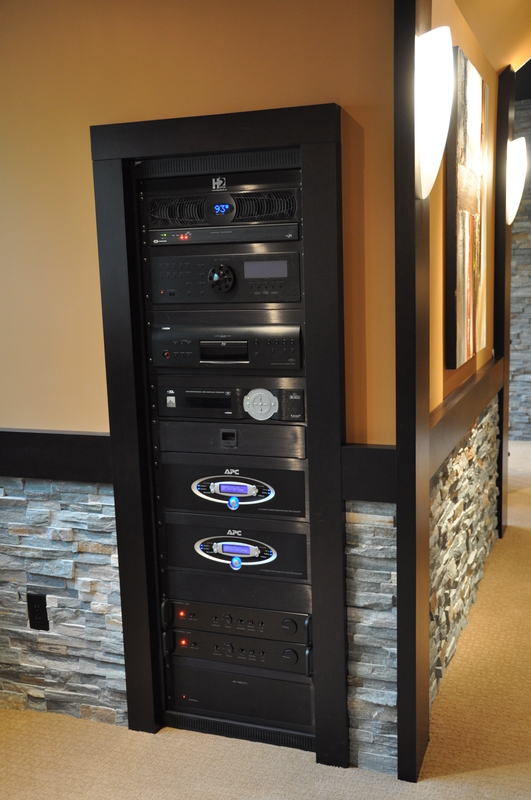 All components and speakers were carefully placed and installed with custom-built recessed boxes and racking. 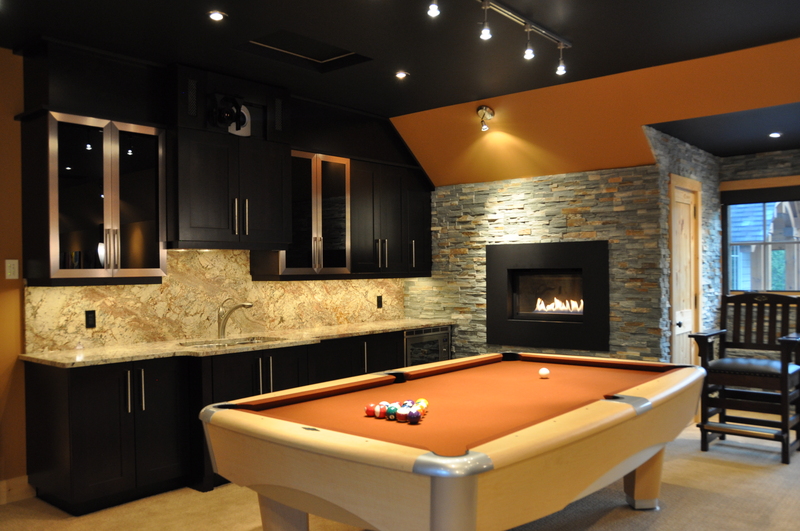 The room is soundproof to the other parts of the cottage. 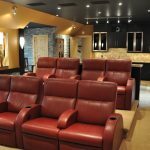 The rugged stone incorporated into the design serves two key functions: one of beauty and a second of acoustical diffusion. 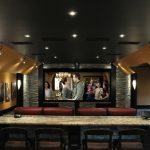 The front third of the room is acoustically treated with absorptive acoustical panels and, in addition, the room was fully carpeted to create a balanced energy, which works quite well for sound quality in the space. 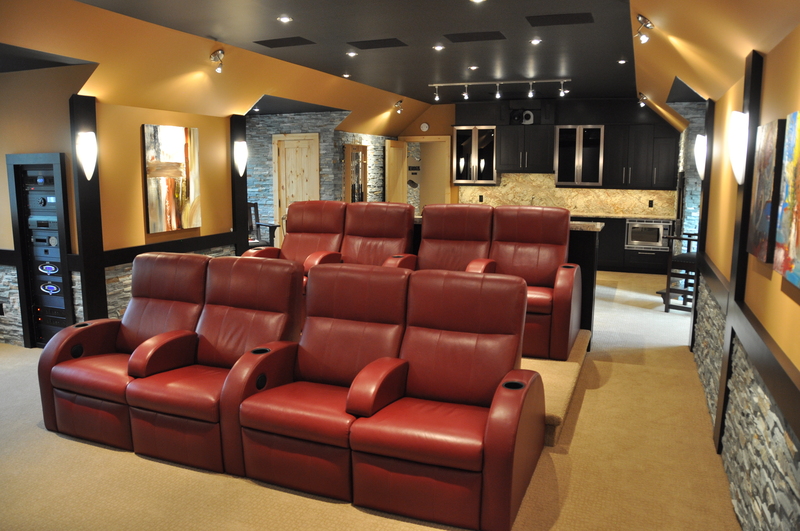 This space is quite large and sits atop of an oversized three-car garage with a boat storage bay. 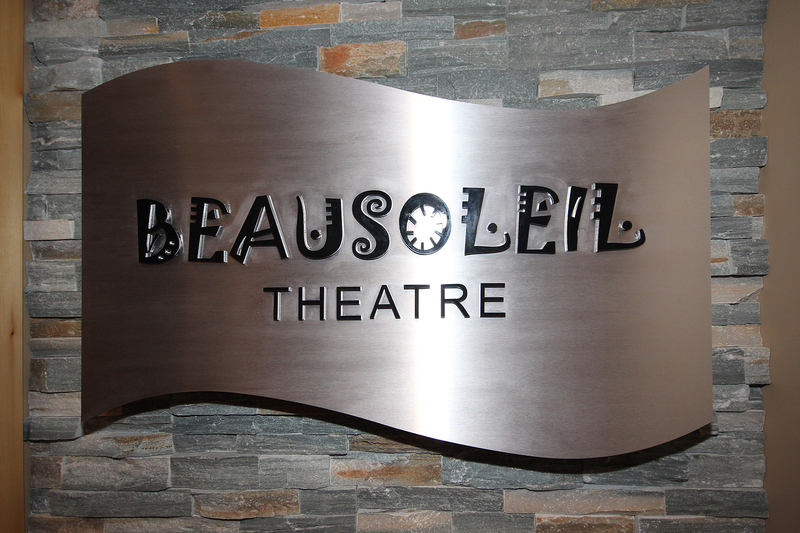 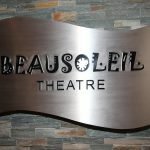 The 40’ depth made it possible to tie in two rows of leather motorized reclining seating, a bistro sit-up island and a full wet bar and billiards area making this a complete entertainment paradise for the lucky family and visitors to the Beausoleil Theatre.